Joan Miró (1893-1983) was a Spanish painter, sculptor and ceramist, who joined the circle of Spaniards in Paris. Picasso was everyone’s inspiration in 1918, but Miró embraced Surrealism and adopted Automatism to explore his subconscious. His paintings look as writings, inspired by cave paintings and Spanish architecture. 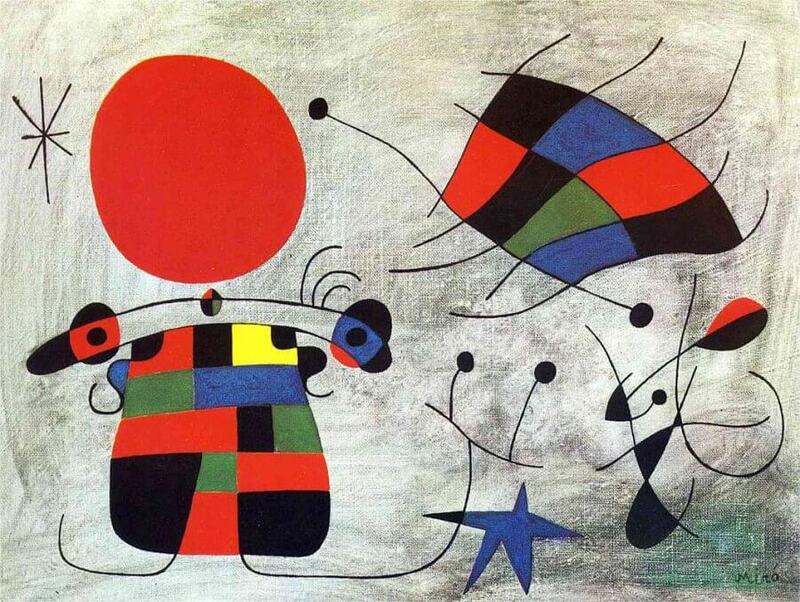 Miro’s images are humorous, colorful and animated. During World War II, Miró moved permanently to Palma de Majorca, where he resided until his death of heart failure at age 90.